According to the National Highway Traffic Safety Administration (NHTSA), there have been more than 1,400 collisions were classified as school transportation-related accidents since 1998. In these accidents, close to 1,600 people were killed. That’s an average of about 142 fatalities a year. Most of the lives that were lost were the occupants of the other vehicles involved (more than 70 percent). Bicyclists, pedestrians and other nonoccupants accounted for another 20 percent. Those within the school transportation vehicles accounted for about 10 percent of the fatalities. Since 1998, there have been close to 140 school-age pedestrians (under the age of 19) killed in school transportation-related accidents. Close to 70 percent were killed by school buses and another 7 percent were killed by vehicles functioning as school buses. About half of these victims were between the ages of 5 and 7. It’s not only important that the school district hire competent, safe drivers, it’s also critical that other motorists travel safely and responsibly around these big, yellow buses. State law requires motorists to stop when a school bus is picking up or dropping off children. Watch for school buses with their stop arm extended and red lights flashing, which means STOP, not proceed with caution, according to the Indiana State Police. When your child is riding on a school bus, it’s important that they know how to act. It’s important for them to behave so that the driver’s attention can remain on the road. Make sure they sit quietly and keep out of the aisles. It’s also important that they keep their belongings out of the aisle, too. With cooperation from students, from bus drivers and from other motorists, we can help to ensure that our kids get to and from school safely each and every day. 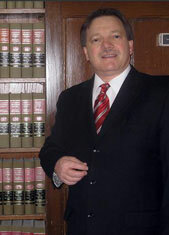 Attorney Burton A. Padove represents those who have been injured in Highland and elsewhere. If you or someone you love has been injured or killed in an accident, call (219) 836 2200.